I also wanted to point out a few other favorites from Alice + Olivia right now. This collarless beaded + sequined jacket is hella awesome. It makes such a statement, even when you pair it with your favorite jeans and a white tee! This striped shift is the ideal transitional dress and an amazing spring/summer basic. Finally this white high-low hem dress is perfect for my next beach vacay! Stacey Bendet has really been on point lately! perfect travel look, love this A+O sweater. Loving how comfy but put together this look is! Such an effortless look, love! I really love those boots, they do look comfy. It is difficult to find stylish yet comfortable shoes. You really look great, and the neutral black and grey tones give the whole look an edgy look. Hope you have a great weekend! You just always look so great! 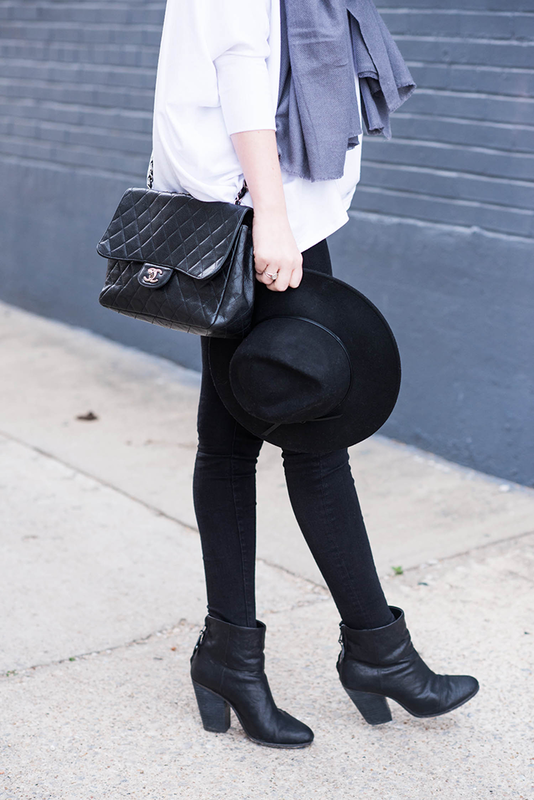 I love basics that look anything but basic and this outfit is such a great example. Love the bag! This really is the perfect travel outfit! I absolutely love it! That is the perfect white tee! 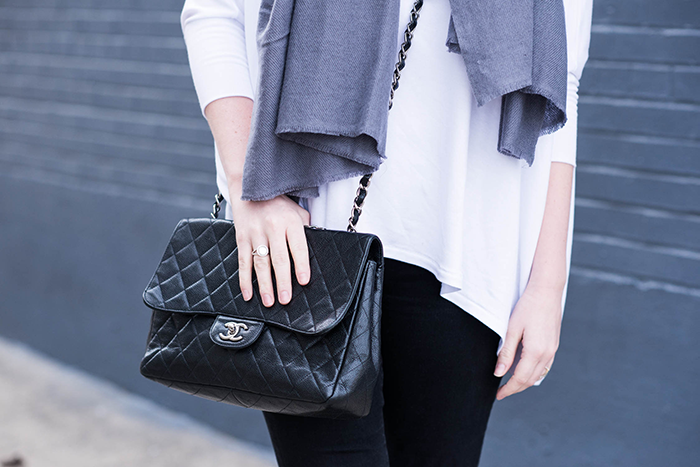 Love the dolman sleeve, totally looks like something you could live in! sharing a tip, cover the other fashion week events. no other shopping bloggers are and it will help you stand out more! 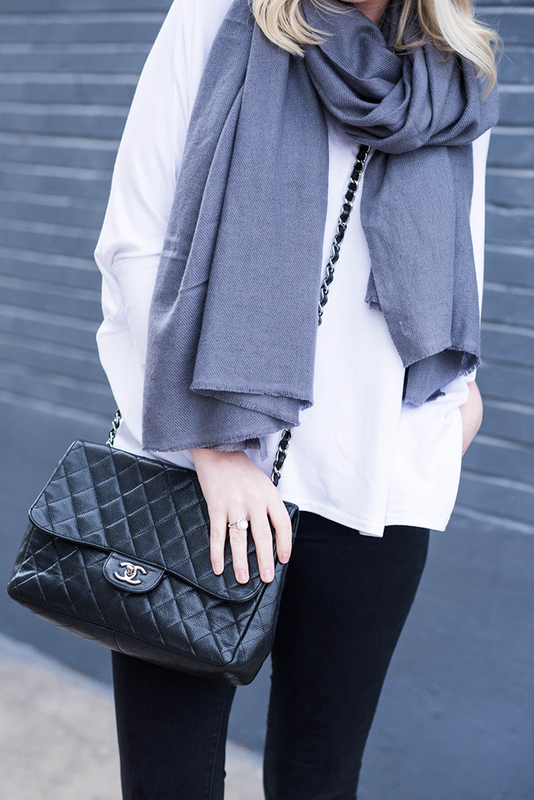 Cozy layers for traveling are key and this scarf is perfect!! You look super chic and cozy! This is the perfect look for traveling! This is so simple, but it might be my favorite look of your yet! Love your style, Merritt, you are always such an inspiration! The perfect travel ensemble for winter. Like the scarf!